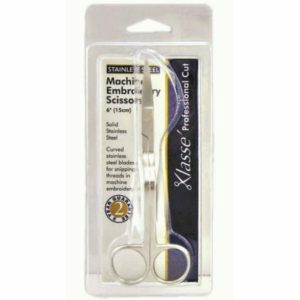 The Klasse Pro Series Serrated Scissors is a premium high quality scissors, made for durability and to be long lasting. 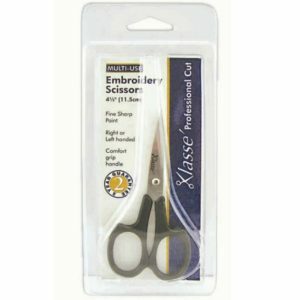 Solid Stainless Steel, this traditionally styled scissor is easy to clean and will last a lifetime. Most popular size for embroidery, tapestry and fine crafts. Very sharp points for fine work. 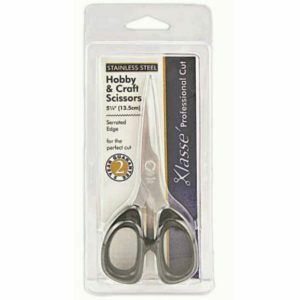 Thicker, double ground blades make these scissors ideal for snipping and trimming, in addition to normal fine embroidery work. Black comfort grip handles. 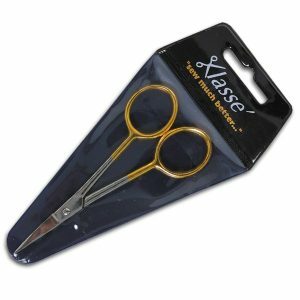 Klasse Long Reach Embroidery Scissors, 100mm, 3.9″, Gold Plated Handles, Made in Italy. Beautiful to own and a pleasure to use, these fine handcrafted Italian scissors are the best of the best. 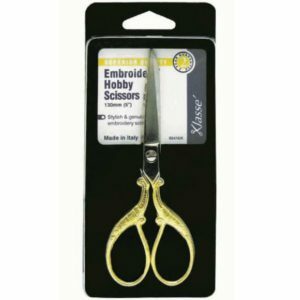 Finished in genuine gold plating, these scissors are a great gift idea. 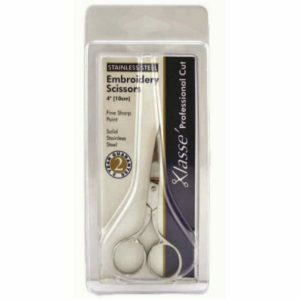 Klasse Superior Quality Embroidery & Hobby Scissors, 130mm, 5″ with gold plated handles, handcrafted in Italy. Beautiful to own and a pleasure to use, these fine handcrafted Italian scissors are the best of the best. 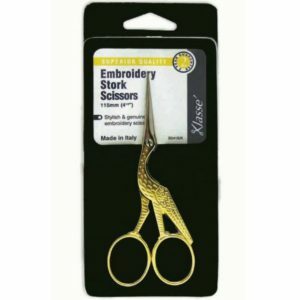 Finished in genuine gold plating, these scissors are a great gift idea. 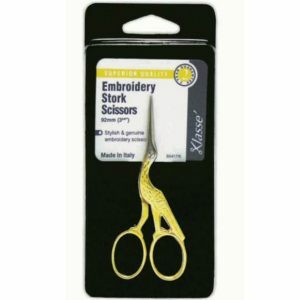 Klasse Superior Quality Embroidery Stork Scissors, 92mm, 3.6″ finished in genuine gold plating, handcrafted in Italy. Beautiful to own and a pleasure to use, these fine handcrafted Italian scissors are the best of the best. 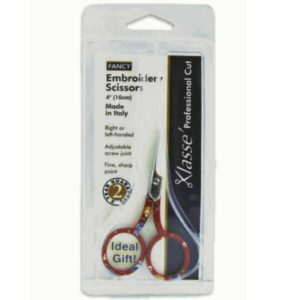 These scissors are a great gift idea. These are made from stainless steel and have a two year guarantee. 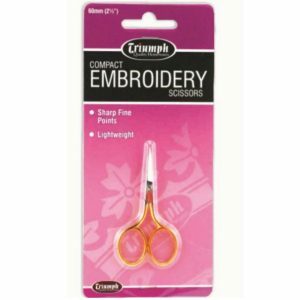 They have specialty curved blades for snipping threads in machine emboidery and bent handles for ease of use. These scissors are all stainless steel with gold handles and have sharp fine points. They are a compact size for controlled and precise cutting of detailed work. These scissors are also lightweight.